Youvene Adkins, 75, of Comfort, WV passed away Wednesday, Nov. 14, 2018 at CAMC Memorial Hospital Charleston, WV. 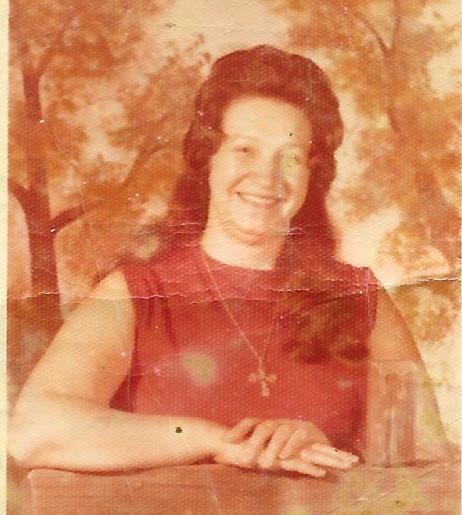 She was born in Mud, WV on June 20,1943 to the late Blane and Andy Dotson. She is survived by her 4 daughters: Anna Necaise, Patty Jarrett, Rita Adkins and Rebecca Duke; 3 sons: Eddie Adkins, Donald Adkins and Andy Adkins. She also has 18 grandchildren and many great grandchildren whom she loved very much. Family meant a lot to her. She cooked for an army it seemed like for Thanksgiving. She was a loving mother and grandmother and worked very hard for her children, and because of that they never were without anything they needed. She was close to her family and she was loved by everyone. She had many stories to tell and everyone loved listening to her. She will be missed and never forgotten. Rest in paradise you beautiful angel. You will be forever loved. Funeral services will be held on Sunday, Nov. 18, 2018 at 1:00 in the Armstrong Funeral Home Whitesville, WV with Marcella Stowers officiating. Interment will follow in the Pineview Cemetery Orgas, WV. The visitation will be 2 hours before the service at the funeral home.